Just about now watching the snow fall steadily all day and awaiting another deep freeze on Thursday, we look at each other and say, “At least we had Miami.” If you live anywhere in this week’s polar vortex, you know what we mean! We celebrated New Year’s in Miami Beach. Actually, we were off the beach more than on it, catching up with friends and trying local restaurants. 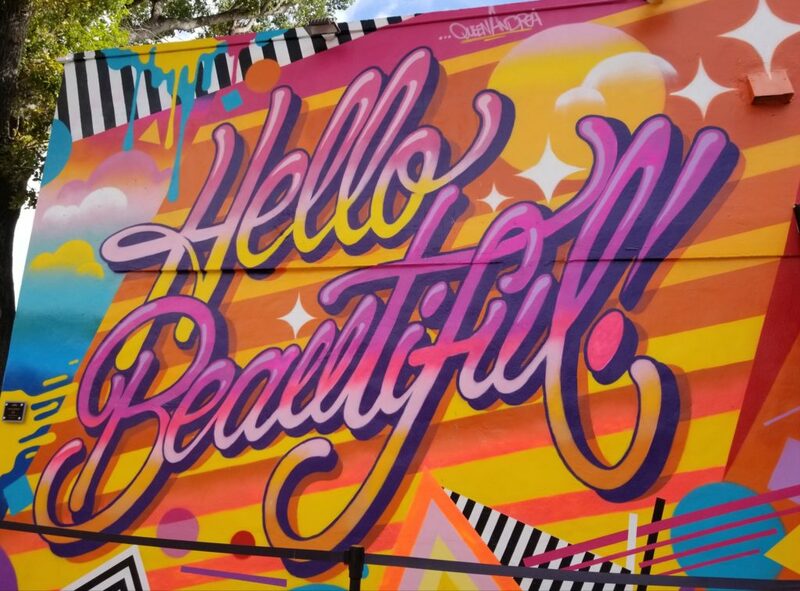 If you go, make sure to visit the Wynwood Arts District and take in the colorful street art and local cafes. That’s where we caught up with Chef Norman Van Aken at Three at Wynwood Arcade. 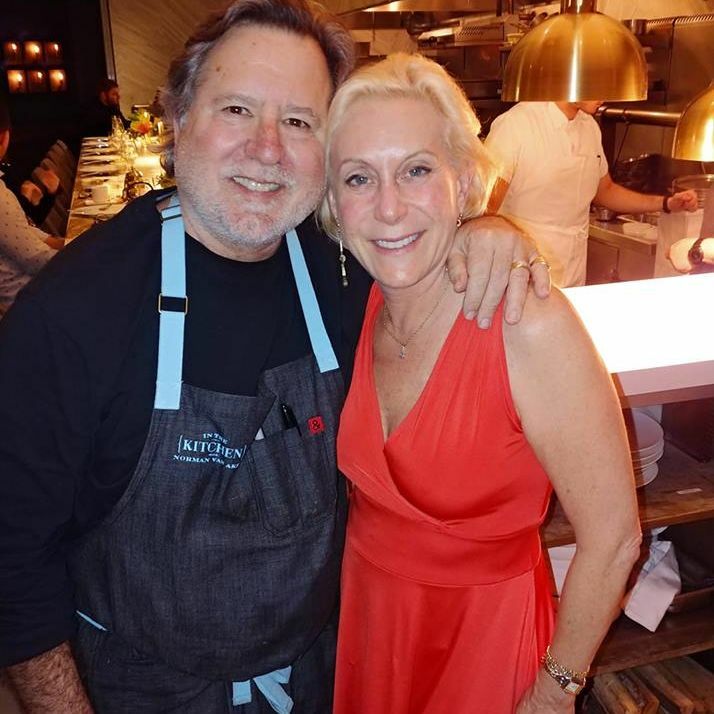 We were glad to see him back in South Florida after closing Norman’s in Coral Gables. If you go, sit at the chef’s counter. Van Aken also has a cooking school and rooftop bar that is an Arts District hot spot. We continued checking out locally owned spots like Stiltsville Fish Bar on Sunset Harbor, owned by Chefs Jeffrey McInnis and Janine Booth. 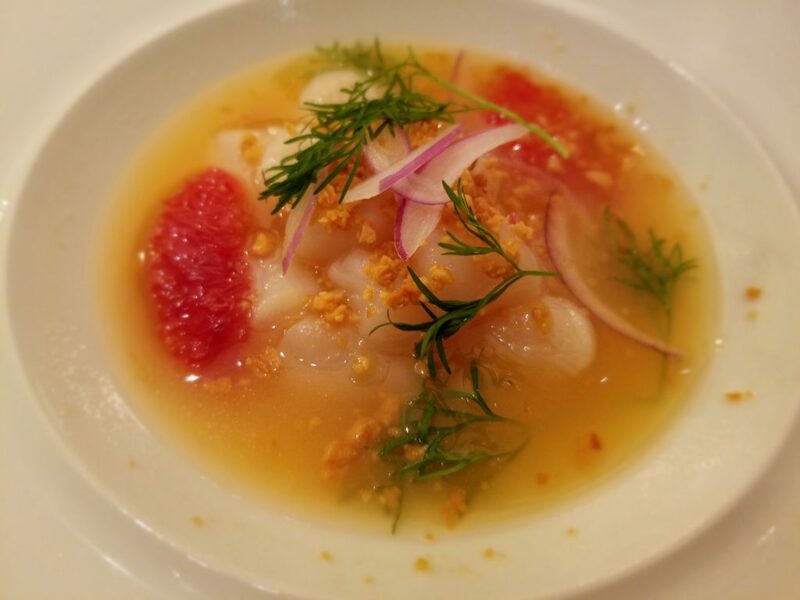 We enjoyed the well-prepared fish dishes and casual, no-attitude atmosphere. 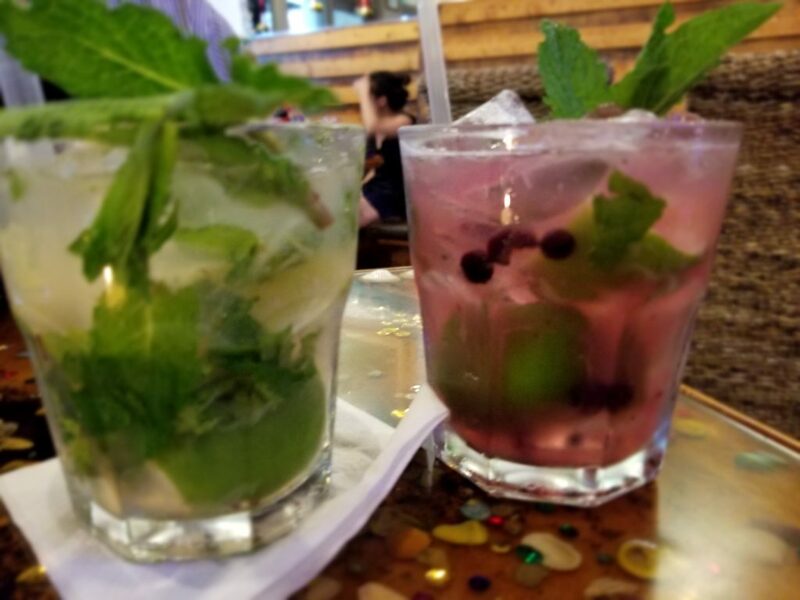 Our one Cuban restaurant was Bella Cuba, a small family-run spot opened in 2005 that serves authentic dishes and a popular blueberry mojito. Lunch at Joe’s Stone Crab is always fun. Of course, we partook in the restaurant’s namesake menu item, along with the signature creamed spinach and key lime pie. We never would have considered ordering fried chicken at Joe’s, but one of our lunch mates did. The excellent one-half free-range fried chicken is one of the best bargains on the menu at $6.95! Miami is filled with great restaurants. Just about every well-known chef has an outpost in one of the hotels that line the beach or downtown. As much as we’d love to try them all, there something about smaller locally-owned places that draw us in. We left Miami in sunny spirits and ready to book another trip.